Valentine’s Day is coming – so you might want to make sure that you have the relevant kind of decorations set up in order to meet the occasion. Of course, a candlelight dinner would be ideal – and hence, you might as well go the whole nine yards with the £7.99 Magic Heart Candle. 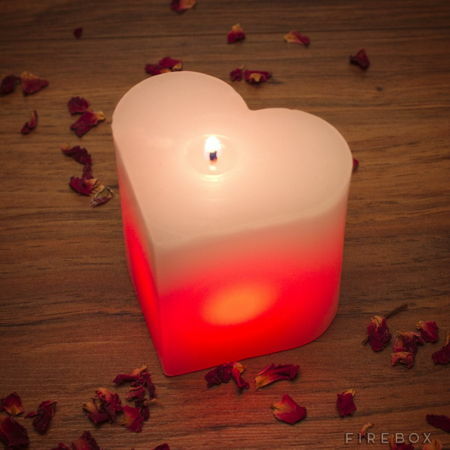 It will be able to emit an enchanting red glow from within the moment the wick is lit, and needless to say, this is a whole lot more romantic compared to a regular candle. You can say that it will only glow when love is in the air, being as “magical” as David Copperfield. The red color would definitely offer a more evocative and stimulating ambiance this Valentine’s Day, so what are you waiting for?